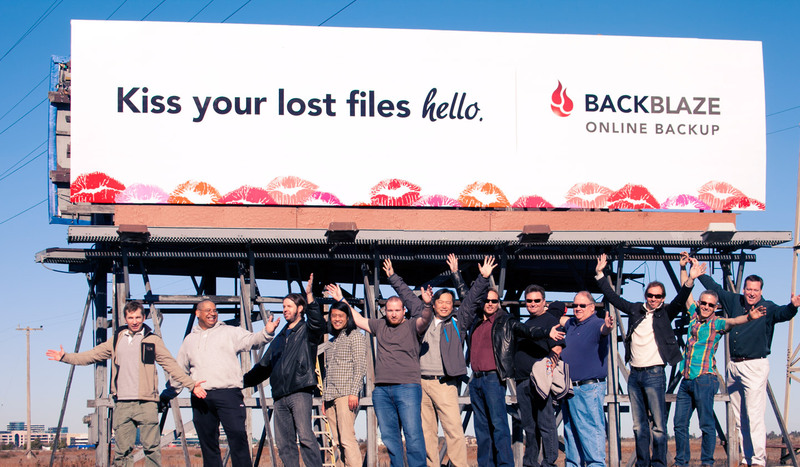 Backblaze Business Backup is growing and to help bring customers on-board our sales department is growing! 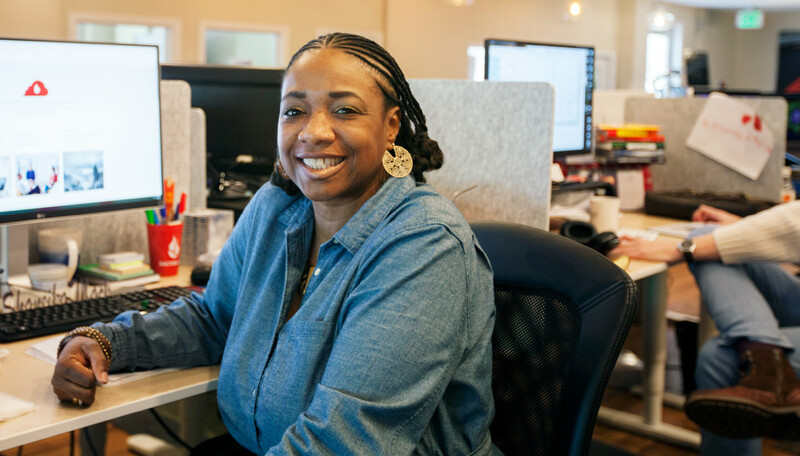 To help being new clients into the Backblaze fold Shaneika has joined the Backblaze team. Let’s learn a bit more about Shaneika shall we? 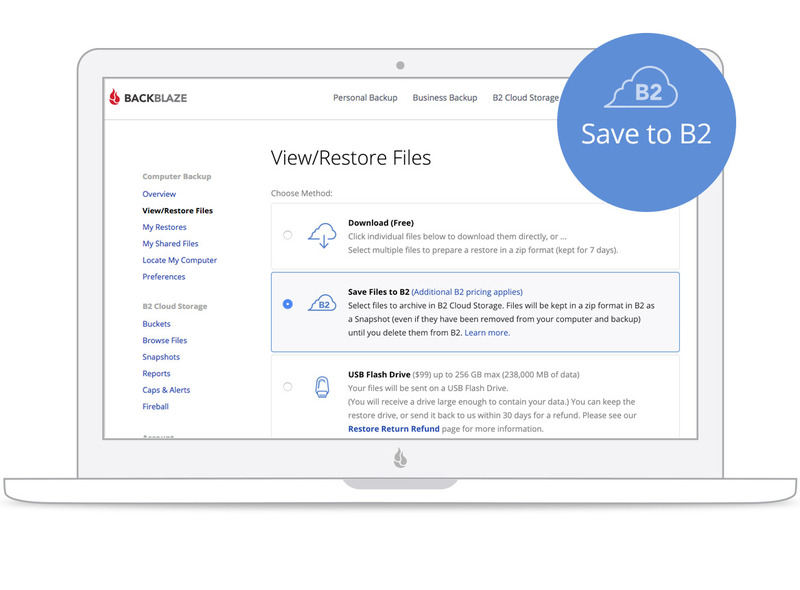 The fact that BackBlaze is rising to be the leader in cloud storage and the reviews were phenomenal when I did an extensive review on the company. I would really like to get a handle on the interface, using it as a client as well as using it as an employee. This will enable me to be familiar with what I am selling and what to engage the client with. Oak Grove High School and University of Phoenix. Eventually becoming a director or VP of sales, however that is later down the line, as my main goal is to get acclimated with my position. Sewing for now. My boyfriend got me a sewing machine last year after I mentioned how nice they were at Costco and got one. I am not on Michael Kors level, but I am getting there. NOT! Star Wars. It actually got real interesting when they brought Adam Driver on. LOVE HIM! Curry Goat or Jerk Chicken. Anything that brings laughter and smiling. We don’t have enough of that, so it is always has been an essential part in life for me. Life is definitely too short not to enjoy it to the fullest! Welcome aboard Shaneika! We’ll try to get a volunteer group to help you out one of these days! The post Welcome Shaneika: Account Executive appeared first on Backblaze Blog | Cloud Storage & Cloud Backup. 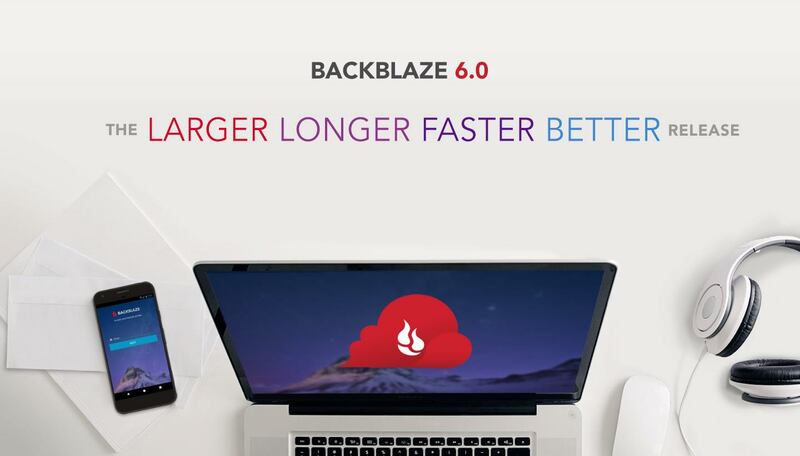 Backblaze Business Backup is growing and to help bring customers on-board our sales department is growing! To help being new clients into the Backblaze fold Crystal has joined the Backblaze team. Let’s learn a bit more about Crystal shall we? Great reputation, location, and familiar product. I expect to learn more about the B2B backup needs and challenges. I went to ASU and University of Phoenix. I am most proud of winning a scholarship (Italian Heritage) to pay for college. Coke — not really a soda fan though. I like playing poker cause it’s a family tradition, I like to take boxing classes because they are a fun way to stay in shape. I am new to the Bay Area from Tampa Florida. Welcome aboard Crystal! We’ll have to keep an eye on your during our next poker night! 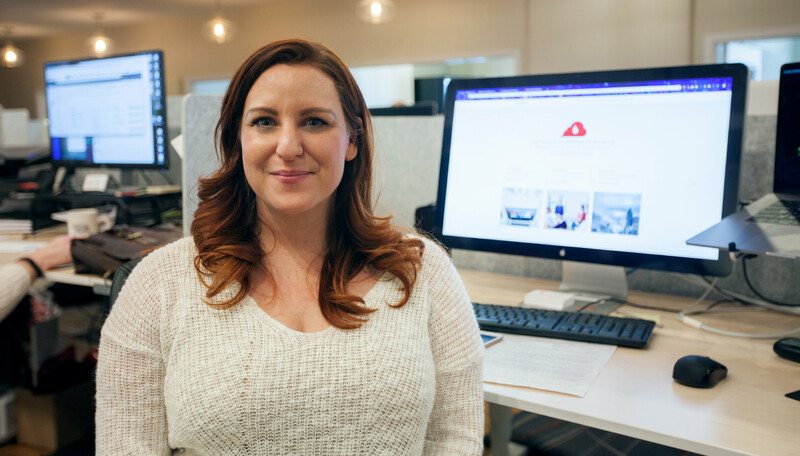 The post Welcome Crystal: Account Executive appeared first on Backblaze Blog | Cloud Storage & Cloud Backup. As we cross 750 petabytes and march towards 800, we need more people in the data enter helping us keep our over 100,000 hard drives spinning! To help us with that, Elliot came aboard! Let’s learn a bit more about Elliot shall we? The Strong Coffee….And working on PC’s is my dream job! How to expand my server knowledge. PC build and repair specialist. To be honest landing this job has been a dream come true! Because I love being part of a team. This job feels like the best decision of my life. I really appreciate everyone giving me a chance. Welcome aboard Elliot. Thanks for coming along with us and helping keep our data centers running! The post Welcome Elliot: Data Center Tech appeared first on Backblaze Blog | Cloud Storage & Cloud Backup. As we cross 750 petabytes and march towards 800, we need more people in the data center helping us keep our over 100,000 hard drives spinning! To help us with that, Mikael came aboard! Let’s learn a bit more about Mikael shall we? I grew up in Durango, Colorado. I loved what I had heard about the atmosphere and the type of work. And besides, who doesn’t want to live in California? I hope to learn everything that Backblaze can possibly teach me. I worked for a large HVAC company for many years, and am so excited to be moving into a new field! I went to college at CNM, in Albuquerque NM. I have always dreamt of owning a small gaming store, the kind that sells magic cards and DnD dice. I spent two weeks in Rome, and almost didn’t get on the flight home because I loved it so much. My all time favorite would be running Dungeons and Dragons games for my friends, but I also love video games, snowboarding, and napping. I once overwhelmed the support staff for Grinding Gear Games, the company that makes the ARPG Path of Exile. Can I say The Matrix? Nothing beats biscuits and gravy. Because if I didn’t, then I wouldn’t like them, and that wouldn’t be very fair to the things now would it? I have been told that working with me is an adventure, so all I can say is I hope you are ready to roll initiative! Welcome aboard Mikael. Thanks for rolling high on your initiative and joining our crew! The post Welcome Mikeal: Data Center Tech appeared first on Backblaze Blog | Cloud Storage & Cloud Backup. As Backblaze continues to grow, we need great people to take care of our customers’ questions and make sure they have a good experience with our service. 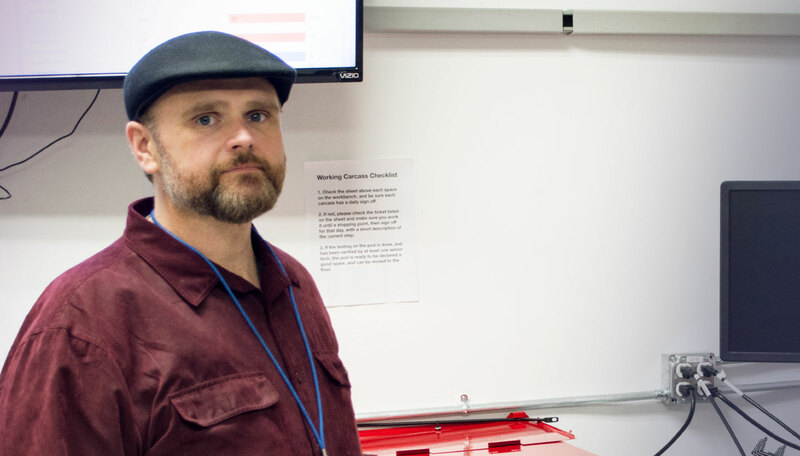 The latest person to join our support team is Brad. Let’s learn a bit more about Brad, shall we? Somewhere with a consistent flow of fixing things and helping people. Probably a combination of dopamine responses and social reinforcement. Something clever and witty something something. Welcome aboard Brad and thanks for that clever and very witty something something! The post Welcome Brad: Junior Support Technician appeared first on Backblaze Blog | Cloud Storage & Cloud Backup. As the Backblaze team grows, our marketing team is growing with it. 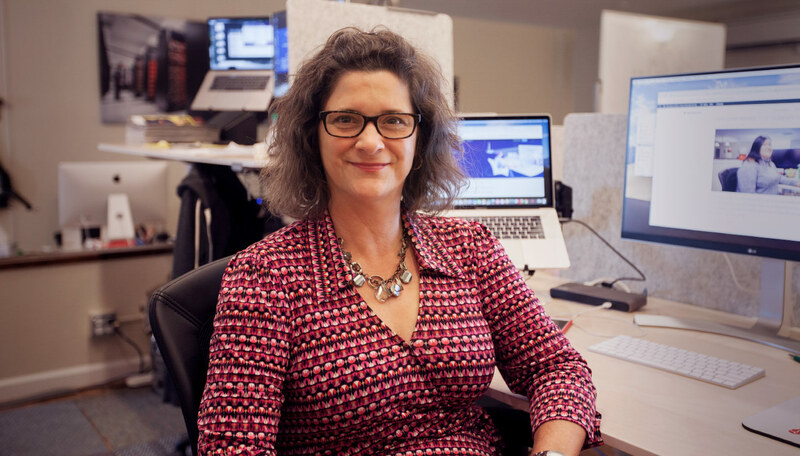 To help expand our Backblaze B2 Cloud Storage business we needed some industry veterans, and we were lucky when Janet came on board! Lets learn a bit more about Janet shall we? Senior Product Marketing Manager, B2 Media and Entertainment. I was born and raised in Baton Rouge. I fell in love with California during a summer internship and never looked back. Momma still isn’t happy about it. 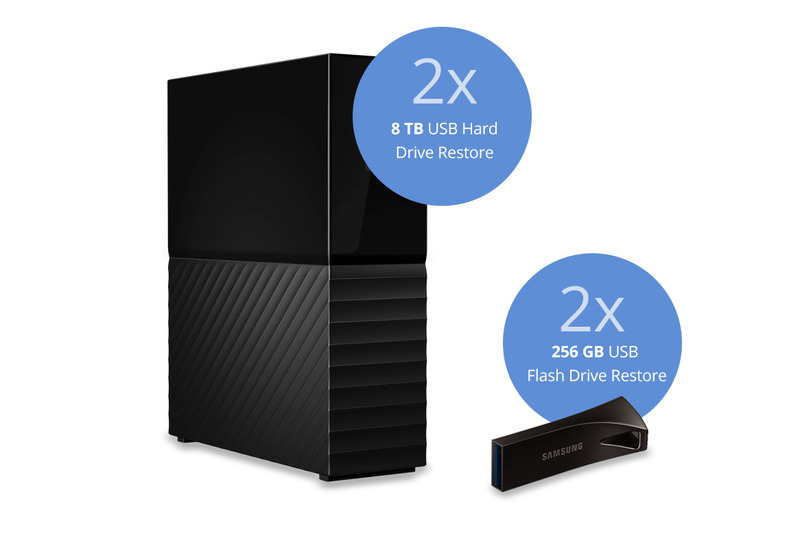 With my experience in storage, backup and archive, Backblaze is a natural fit. I like how it feels like a startup, even though it’s been steadily building a business for a decade. I’m not a big company person. I expect to learn things I never expected to learn. Most recently I’ve been marketing storage products for the media & entertainment market at Quantum and Atempo, a backup and archive company. Before that, I was developing CAD software for Cadence and coding object recognition algorithms at Lockheed. I’m a third generation graduate of Louisiana State University, where I studied Computer Science. Geaux Tigers! One where I work with a great team on interesting projects and we all get fabulously wealthy. Visiting extended family in Singapore and Malaysia, where every meal was a culinary feast with a different tropical fruit for dessert. And yes, I like durian. Lately I’ve been obsessed with family history research. I’ve dug up so many incredible stories in the historic newspaper archives: deadly gunfights, embezzlers, brothel owners, and even a bigamist. If you think your family is boring, you haven’t dug deep enough. Star Wars, but I’m really more into Indiana Jones. Because Harrison Ford. I’m a Southerner, so I have to say Coke. To be honest, I prefer sparkling water. Call it the Californian in me. Lay’s potato chips. I can’t eat just one. I like things that make me think. I like things that make me imagine. Eight years ago I decided to ride my bicycle to work every day. Now I bike and take transit almost everywhere and my car gathers dust in the driveway. Janet has one of the coolest bikes on the planet, it folds up and sometimes hangs out next to her desk! Welcome aboard Janet! The post Welcome Janet: Sr. 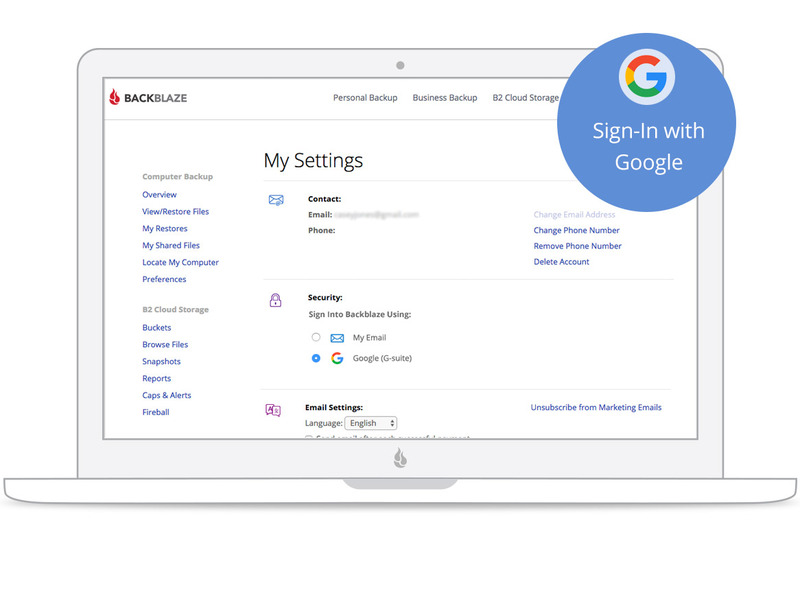 Product Marketing Manager appeared first on Backblaze Blog | Cloud Storage & Cloud Backup. 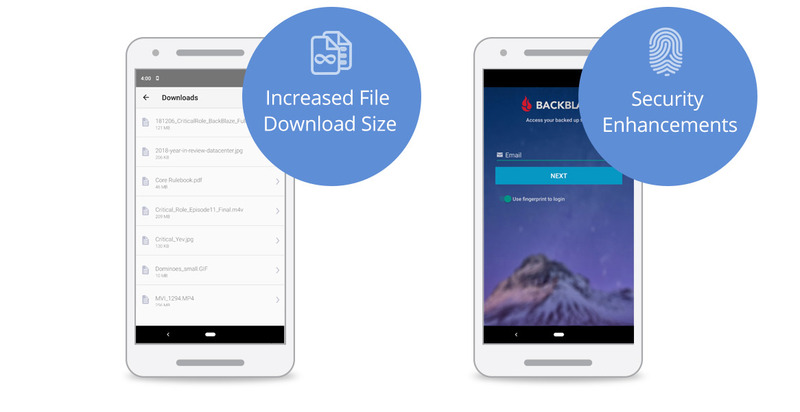 You will lead the development of Backblaze’s Android application. Your responsibilities will include designing and implementing features as well as fixing bugs in a timely manner within project constraints. There are significant enhancements in the works, and you’ll be a part of making them happen. 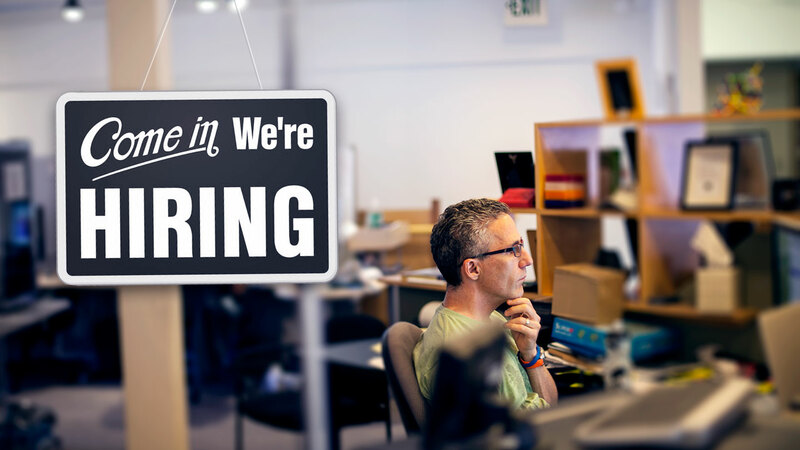 The post Wanted: Senior Android Developer appeared first on Backblaze Blog | Cloud Storage & Cloud Backup. As we’re lightening things up in time for the holidays, we decided to share this little video that’s been internal only for a while. We figured it could be a fun little holiday gift for our fans! While we do have giveaways for hardware when we can, sometimes we do have to get rid of things in a somewhat unceremonious manner. Last summer we had a bit of housekeeping to do with inoperable storage pods and decided to have some fun with chassis that were destined for the recycling heap. It took a while in the sweltering Sacramento heat, but we hope you enjoy. 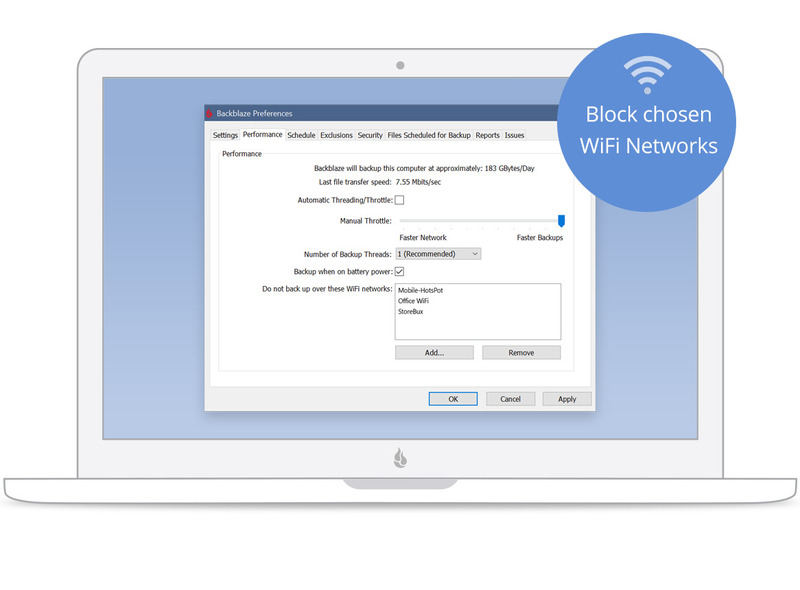 The post Storage Pod Dominoes appeared first on Backblaze Blog | Cloud Storage & Cloud Backup. 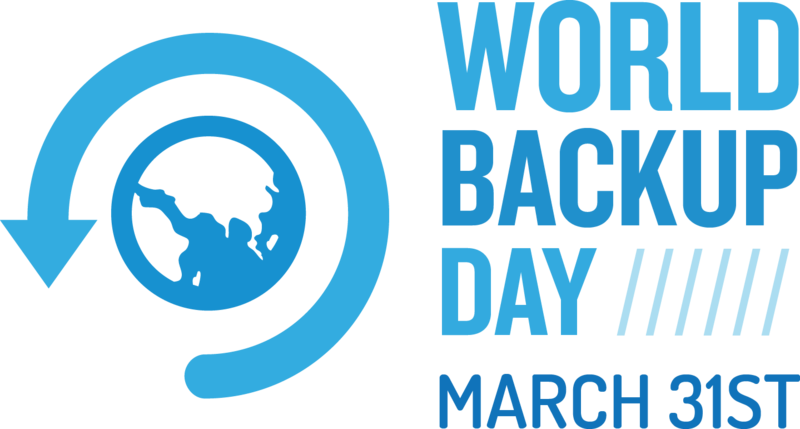 Backblaze will be celebrating its 12th year in business this coming April 20th. We’ve steadily grown over the years, and this year have reached $30 million ARR (annual recurring revenue). We’ve accomplished this with only $3.1 million in funding over the years, having successfully bootstrapped the company with founder contributions and cash flow since the very beginning. Last year our CEO and co-founder Gleb Budman wrote a series of posts on entrepreneurship that detailed our early years and some lessons learned that entrepreneurs can apply for themselves. Recently, Gleb did a follow-on webinar on BrightTALK covering many of the series’ main points. Given the time constraints most entrepreneurs face, I’ll highlight what I consider some of the key lessons for startups that Gleb outlined in both the entrepreneurial series and the webinar. So the question is how do you go about defining the problem? The most obvious place to start is to look at pain points you’re trying to address and then defining the specific elements that contribute to them. Can you solve the problem by taking away or changing one of those elements or multiple elements? Or, is it a matter of adding in new elements to shift away the pain points? In our case, there was an obvious need in the market for backing up computers. There were already solutions on the market that, at least in theory, provided a backup solution, yet the majority of people still didn’t use one. The question was why? Just because solutions exist doesn’t mean the problem is solved. After a series of deep dives into why people weren’t backing up, we discovered that the major problem was that backup solutions were too complicated for most people. They recognized they should be backing up, but weren’t willing to invest the time to learn how to use one of the existing services. So the problem Backblaze was originally solving wasn’t backup in general, it was taking away the learning curve to use a backup solution. Once you have the problem clearly defined, you can proceed to design a solution that will solve it. Of course the solution itself will likely be defined by market forces, most notably, price. As Gleb touches on in the following video clip, pricing needs to be built into the solution from the outset. Once you’ve determined the problem you want to solve, the next step is to create the infrastructure, i.e. the company, in order to build the solution. With that in mind, your primary goals for that first year should be: set up the company correctly, build and launch your minimal viable product, and most importantly, survive. Setting up the company correctly is critical. A company is only as successful as the people in it. At all stages of growth, it’s critical that people have clear definitions of what is expected of them, but in the beginning it’s especially important to make sure people know what they need to do and the vision that’s driving the business. From the start you need to determine the company, product, and development resources you need, define roles to be filled, and assign responsibilities once key players start joining your team. It’s very common in the early stages of a startup for everyone to be working on the same tasks in a democratic process. That might be good for morale in the beginning, but can result in a lack of focused direction. Leadership must emerge and help steer the company towards the shared vision. With clearly defined roles and responsibilities, team members can collaborate on achieving specific milestones, ensuring forward momentum. A far less exciting but equally important foundation for a startup is the legal entity. It’s easy to get caught up in the excitement of building a product and put off the less exciting legal aspects until you are ready to launch. However, trying to retroactively get all the legal requirements in place is far more difficult. Ownership (equity) ratios need be locked in near the start of the company. Having this hammered down can avoid a lot of potential infighting down the line. If you plan on raising money, you will need to incorporate and issue stock. You may also want to create a Proprietary Information and Inventions Assignment (PIIA) document, which states that what you are all working on is owned by the company. Once the (admittedly not terribly exciting) legal aspects are taken care of, the focus truly shifts to building your minimal viable product (MVP) and launching it. It’s natural to want to build the perfect product, but in today’s market it’s better to focus on what you think are the most important features and launch. As Gleb writes in Surviving Your First Year, “Launching forces a scoping of the feature set to what’s critical, rallies the company around a goal, starts building awareness of your company and solution, and pushes forward the learning process.” Once you launch your MVP, you’ll start receiving feedback and then the iteration process can start: more on that later. Lastly, when it comes to surviving your first year, always make an effort to conserve your cash. It might be tempting to scale as quickly as you can by hiring a lot more employees and building out your infrastructure, but minimizing your burn rate is usually more important for long term success. For example, Backblaze spent only $94k to build and launch its beta online backup service. If you scale your startup’s people and infrastructure too fast, you might have to rush to find more funding, which typically means more dilution and more outsiders telling you what you should be doing — not great when you’re first starting out and trying to achieve your vision. When you’re finally ready to go, you should target people who will give you lots of feedback as your first customers. Often, this means friends and even family members that are willing to give you their opinions on what you’re doing. It’s important to press the people close to you to give you honest feedback, as sugar-coating comments might actually lead you to make incorrect conclusions about your product. Once you have a chance to evaluate the initial feedback and iterate on it, consider a private beta launch. Backblaze’s initial launch target was to get 1,000 people to use the service. 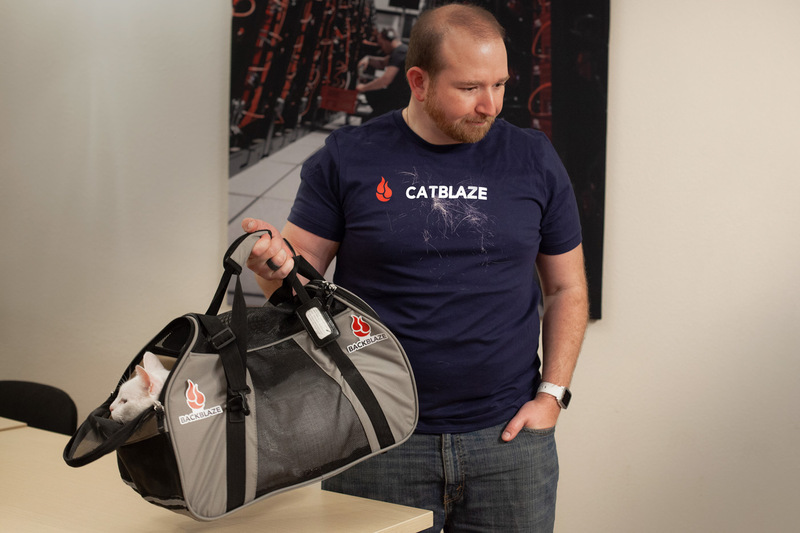 In his article, How to Get Your First 1,000 Customers, Gleb goes into detail on how Backblaze successfully used PR outreach to achieve the beta launch goal. One of the PR tactics used was to give publications, such as Techcrunch, ArsTechnica, and SimpleHelp, a limited number of beta invites. This not only raised awareness, but it gave early beta users a feeling of exclusivity, which helped in getting beta users to provide honest feedback. Equally important is to have a system in place to collect contact information from everyone that expresses interest, even if you can’t service them at the time. You always want to be building your customer pipeline and having mechanisms in place to collect leads is important for sustained growth. It’s unavoidable that every startup entrepreneur will have to face a number of unexpected lows that will supplant what seem as increasingly infrequent highs. Dealing with both is vital to sustain your business (and your mental health). Often times, what at first appears to be a low point can inspire actions that ultimately help drive your business to new highs. In the following clip Gleb gives several examples of seemingly low points that Backblaze was ultimately able to turn into wins, or as Gleb says “turning lemons into lemonade.” Note: I recently wrote a post about similar turnarounds on the social media front, Making Lemonade: The Importance of Social Media and Community. It might not be foremost in your mind at the start, but from day one of your startup you are building your company culture. Culture is a little more nebulous than product design (maybe a lot more nebulous), but it is equally important in the long run. 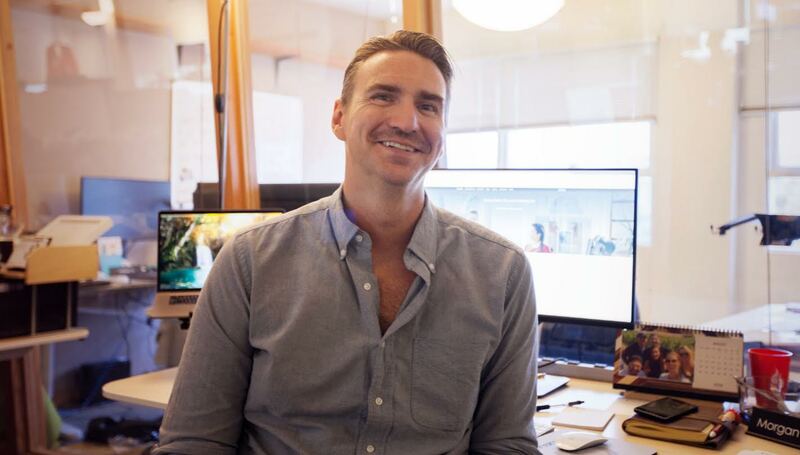 Culture affects every aspect of how your company operates because it has a day to day effect on every employee and the decisions they make, as Gleb points out in this short clip. A prime example of how company culture affects your business is Backblaze’s emphasis on transparency. One of the first major wins for Backblaze was the release of our first Storage Pod design back in 2009. Most companies would keep proprietary design IP (intellectual property), like the Storage Pod, under lock and key, because they provide a major competitive pricing advantage. Yet the cultural importance of transparency led to a decision to open source the Storage Pod design despite the risk of competitors taking the designs and copying them. It also enabled us to answer a common question, “How can you provide this service at this low a price?” by writing one blog post with specifications, photos, and a parts inventory showing exactly how we do it. The result of that very risky decision was a massive increase in brand awareness. Hundreds of articles were written about Backblaze comprised of not just general-interest and news articles, but also business case studies examining the rare business decision to be so transparent about our IP. All of this attention ultimately positioned Backblaze as a thought leader in the cloud backup space (later, also in cloud storage), allowing us to be mentioned in the same articles and to compete against far bigger companies, including Amazon, Google, and Microsoft. I hope you enjoyed this TL:DR version of Gleb’s entrepreneurial series and would love to hear your thoughts in the comments section below. 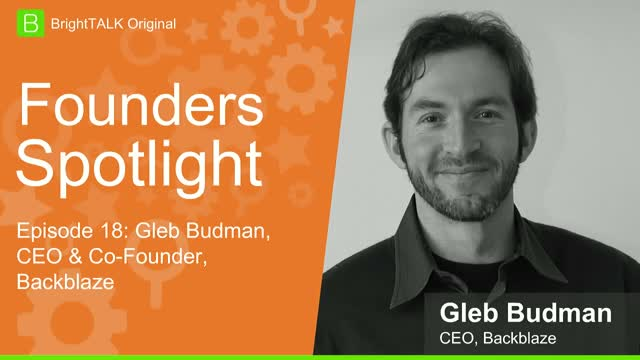 I highly encourage anyone involved in a startup to take the time to read the original series as time permits and watch the entire webinar on BrightTALK, Founders Spotlight: Gleb Budman, CEO, Backblaze. The post Bootstrapping to $30 Million ARR appeared first on Backblaze Blog | Cloud Storage & Cloud Backup. At Backblaze we’re always looking for interesting things to give to our loved ones over the holiday season, and this year it kind of snuck up on us! We’ve put together a lightly curated list of interesting gifts for your loved ones…or, your enemies! If you’ve used the Google Assistant on your phone or were given a Google Home Mini in the past, this is a great way to take it up a notch. 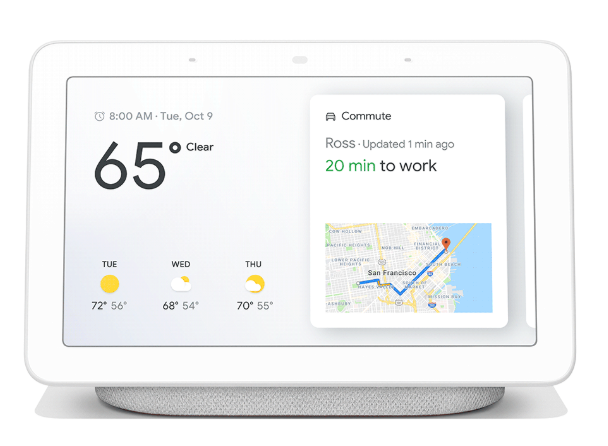 You get all the functionality of the Google Assistant along with a visual display to show you the weather, photos, recipes, videos, and anything else you can ask of the world’s largest search engine. While the Home Hub does support voice calling via Google’s Duo app, it does not have a camera for video calls. Is the Alexa more your jam? No worries. 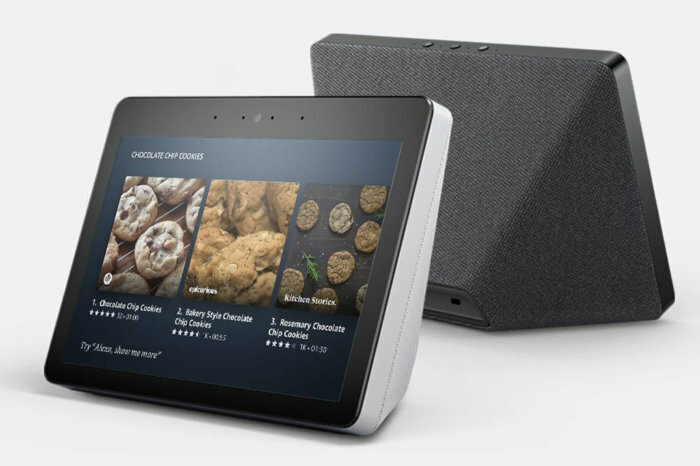 The Echo Show is Amazon’s central hub for the home and brings you all the power of Alexa with an HD screen for video playback and photo viewing. Amazon also provides a camera for video calling, which means you can take video calls while working around the house or getting help from your grandma in the kitchen. Plus the speakers are pretty good! 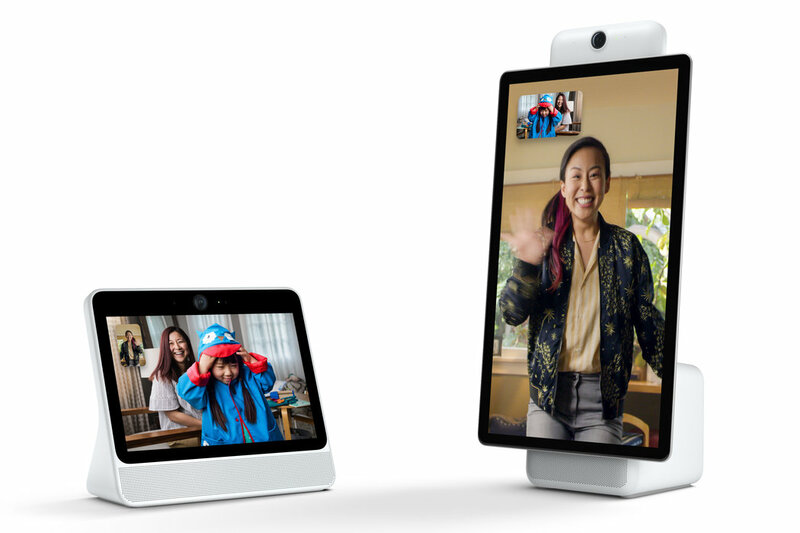 The Facebook Portal takes things one step further by giving users the full power of Alexa while also introducing a face-tracking camera. 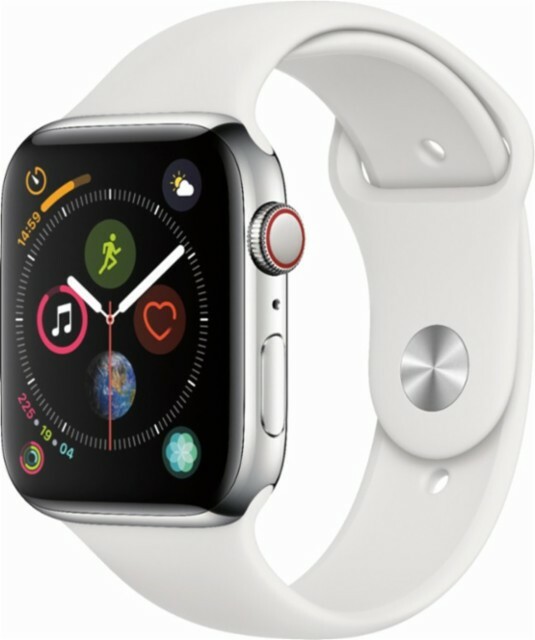 This means that you can take video calls while working in the kitchen, or around the house, and the Portal will track and follow you so that you can always see the folks on the other end of the screen. Some find that a smidge odd, but if you find yourself with your hands full or chasing around a toddler, it might be nice! 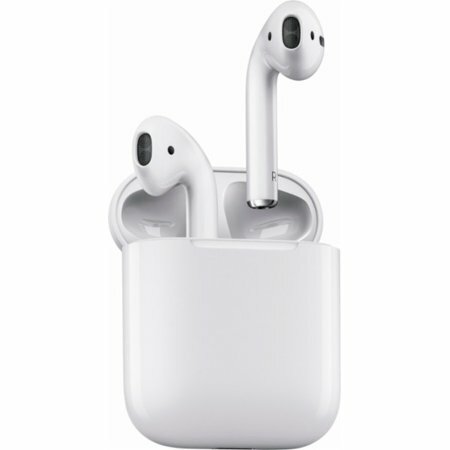 You’ve seen them everywhere, including our guide from 2017, but these are still the leader in wireless earpods. 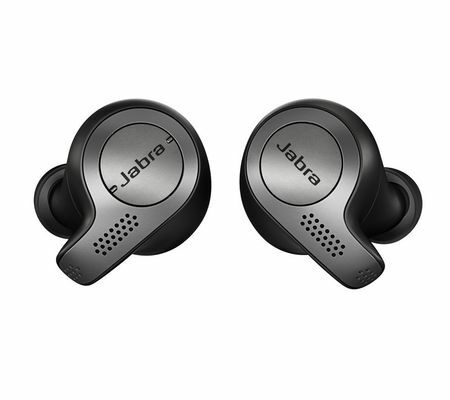 If you don’t have an iPhone, or just don’t like the white coloring of the AirPods, the Jabra Elite 65t in-ear headphones are pretty good. They also come in an Active model that gives a smidge more waterproofing. 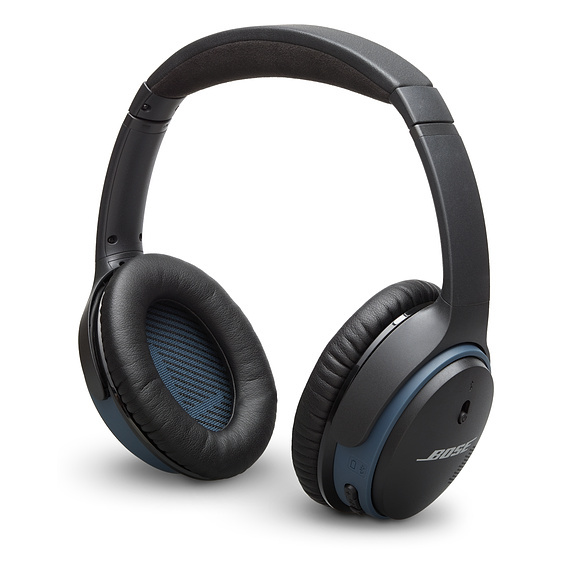 These aren’t in-ear headphones, but they are probably some of the best noise-canceling wireless headphones on the market, and worth the expense for the folks who are frequent travelers in your life. 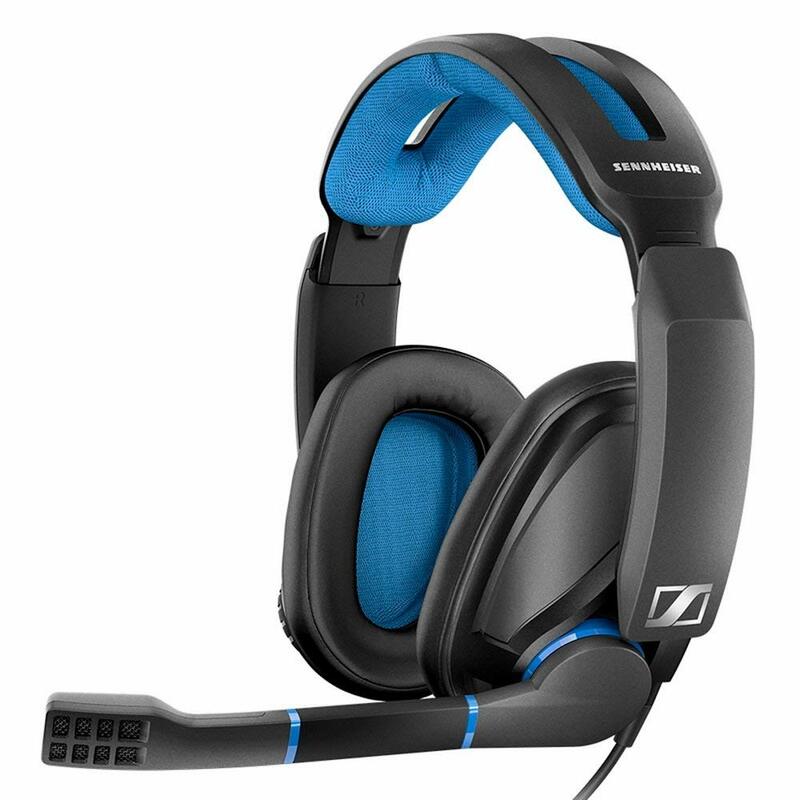 These are awesome headphones for the gamer in your life. They work with all modern gaming consoles as well as Macs and PCs. They are also great for voice calls in the office between rounds of Overwatch — not that we know anything about that. It’s the most common smartwatch out there, and it’s now better at tracking your fitness. There’s an HERMES model in case you have extra money lying around. 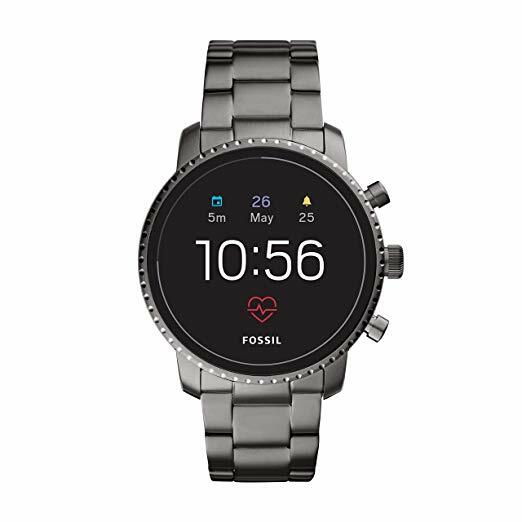 If you’re using an Android phone and want something compatible with Wear OS by Google, this watch looks good and works well. Like most smartwatches, however, the battery life is a bit lacking. Some people just want a smartwatch to screen calls and tell the time. If you’re sad that the Pebble is no longer under development, take a look at this simple smartwatch that gives you some of the basics — and has great battery life, too. 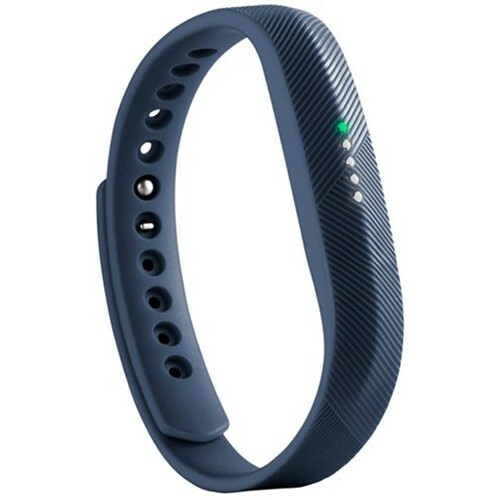 For those who don’t need a smartphone, take a look at the Fitbit Flex 2. It’s small, counts your steps, and can also track sleep. 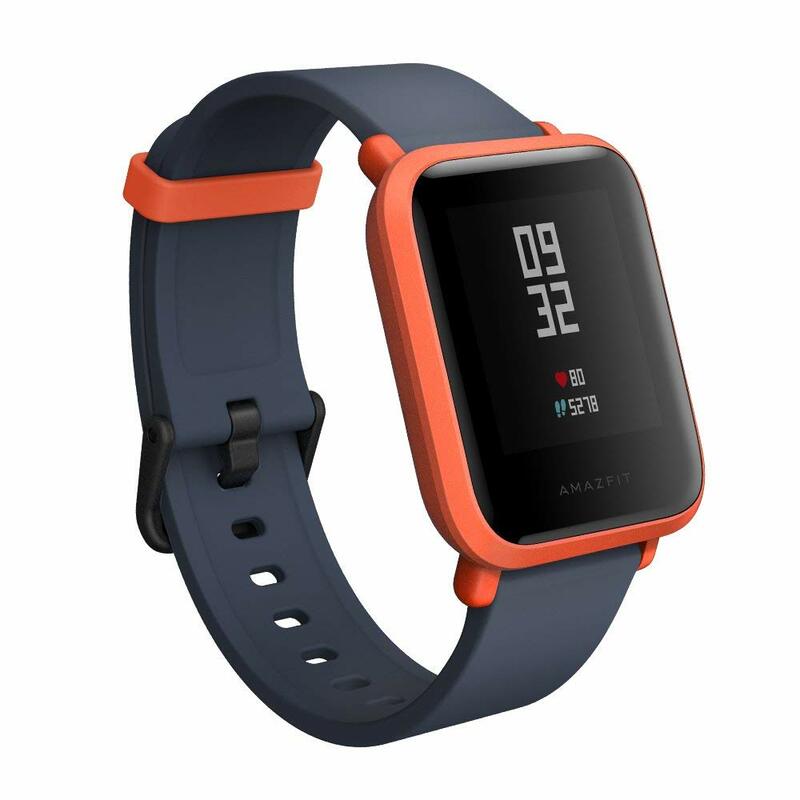 There’s also the Fitbit Ace — a kids’ version! Now that everyone is watching Chef’s Table, folks want to be able to make the perfect steak at home. 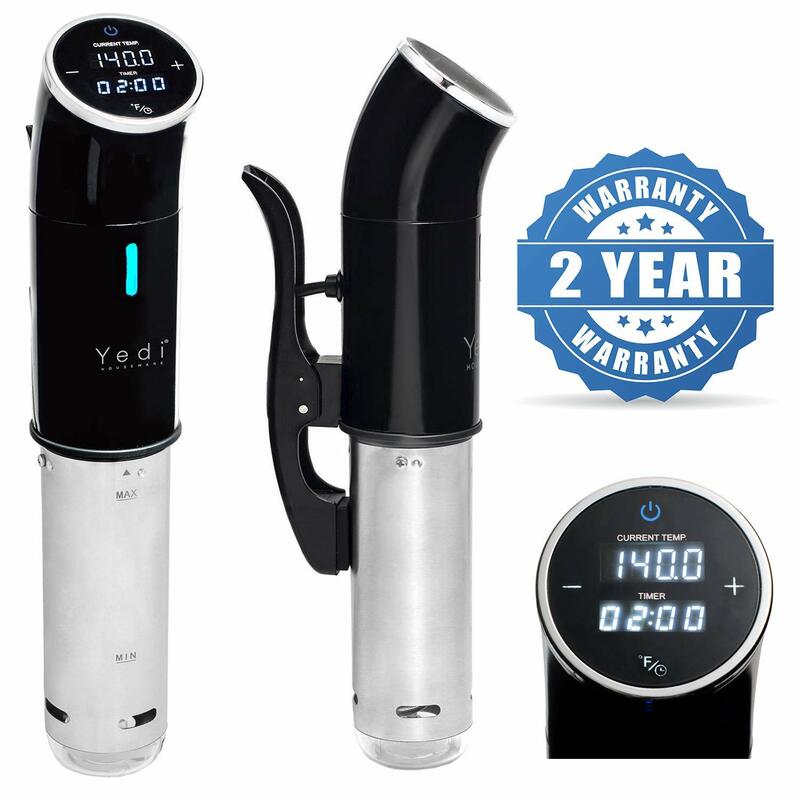 Sous vide used to be the kitchen secret of top chefs, but it’s now available to everyone. This starter kit will get you through the basics. It’s the holidays, so you’re likely opening a few bottles of something or other. 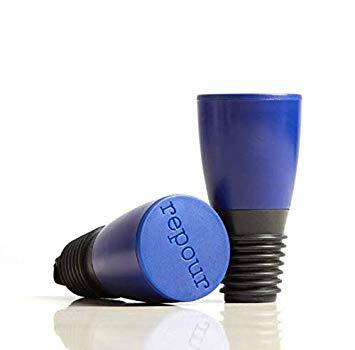 If that something is wine, this little gadget helps you keep it tasty by removing the oxygen left over in the bottle. That’s ideal for folks who open a bottle after coming home from the relatives, and who want to keep it tasting great for a few extra days. This little fellow is a tiny robotic ball that you can program. 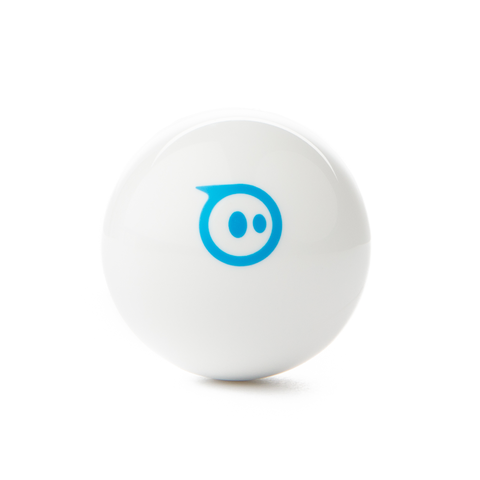 It’s great for kids and adults who want to learn programing, and it’s fun to watch zoom around the office. There’s even a BB-8 version! 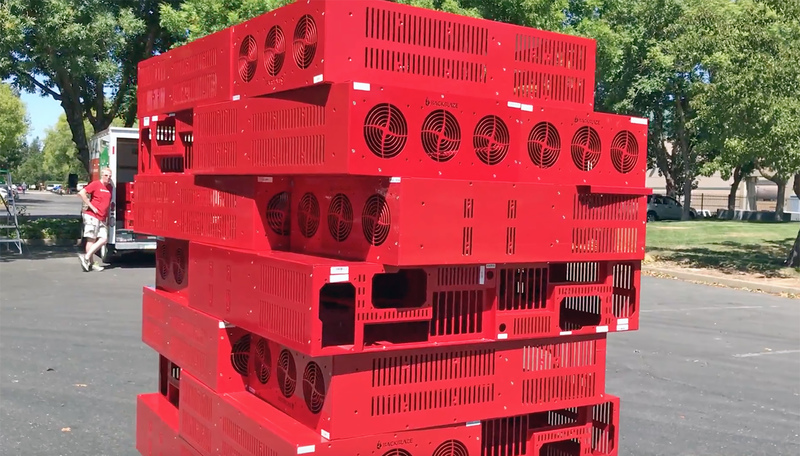 Some of you may have seen us crush some of our broken storage pods, and if that looked cool, and you’re in the Bay Area, you can crush something too! 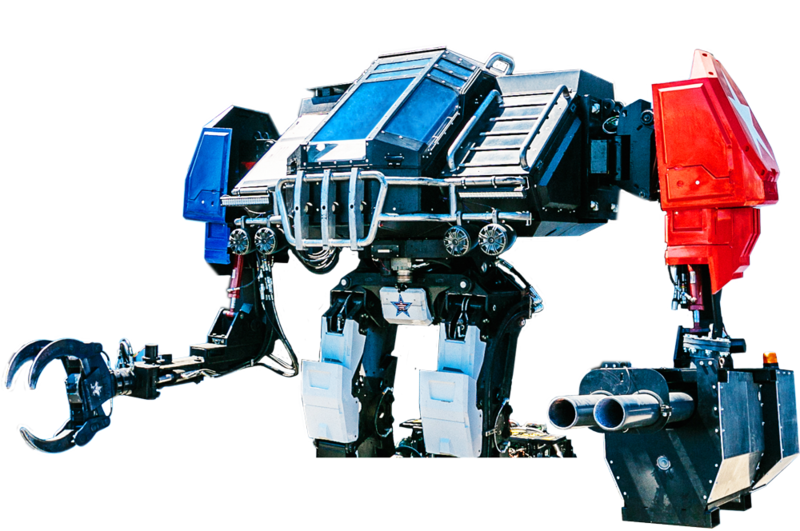 The folks who built the MegaBot Eagle Prime will use his claw to crush whatever you want — for a nominal fuel fee! You know it. You love it. Now gift it! The post Backblaze Holiday Gift Guide — 2018 appeared first on Backblaze Blog | Cloud Storage & Cloud Backup. 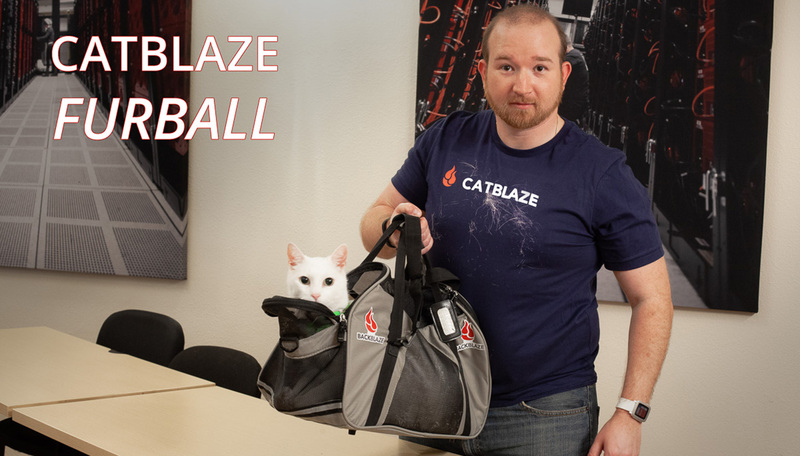 Backblaze continues to grow and as we do so we needed someone to take over helming our Sales department. We’ve hired quite a few folks over the last few months and the glue that holds them together is Morgan, our new director of sales. Let’s learn a bit more about Morgan shall we? A workplace culture that emphasizes organic growth and employee development. What do you expect to learn while at Backblaze? What makes Backblaze’s customers love our products and how we can serve them better. For the past nine years I’ve worked at Barracuda Networks. Phew. San Jose State, where I studied History. Visiting Mexico City was magical beyond words. Seeing reps who I have hired and trained go on to win sales awards and exceed their annual quotas. Feels good, man. They make me happy and/or they make me see the world differently. At age five I ruined a magician’s act. No regrets. A fun fact about Morgan is that he DJ’d a few of our employees’ weddings and we all only found this out after he had come in to interview. Welcome aboard Morgan! 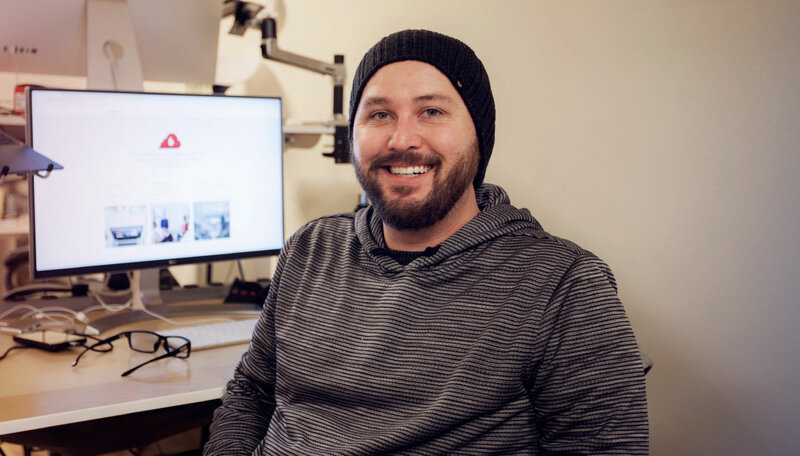 The post Welcome Morgan: Director of Sales appeared first on Backblaze Blog | Cloud Storage & Cloud Backup. 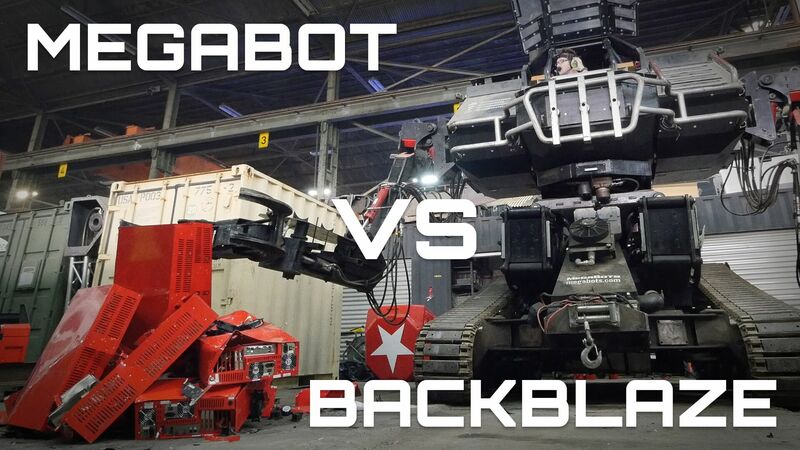 The post MegaBot vs Backblaze appeared first on Backblaze Blog | Cloud Storage & Cloud Backup. Spending all day on Twitter and Reddit shouldn’t really be a job, but here we are. With every organization from a local coffee shop to mutli-billion dollar enterprise having a social media presence, community and social media management has become not only a job, but a career path that tens of thousands of people have adopted in the last two decades. Many still question the value, if any, of KPIs (key performance indicators) for tracking social media, and the overall return on investment of a dedicated social media presence. With that in mind, I wanted to share why Backblaze continues to invest in maintaining strong community and social relationships. Having a strong social presence has not only helped us build a community of fans and advocates, but it has also helped drive serious growth, playing a large part in helping us achieve nearly 50% growth and an ARR of over $30M. Social media can be fickle. Finding the right balance for your brand between being funny, informative, and helpful can be hard but it is paramount if you want to cultivate the right kind of audience and community. Empathy is important, especially if you provide social tech support — people writing into support are usually not having a great day. Very few of our support tickets are simple praise (and when they are, we share them with the whole company). Being empathetic can help craft your responses in a way that does not put your customers on the defensive, and even if you can’t help them, being understanding of their situation goes a long way in helping them feel heard. Do not use standard answers. As much as I can, I try to use hand-crafted, artisanal responses for every person that writes in. Even if you get a flurry of similar questions that require the same steps to solve (say there’s an outage, or there’s a popular blog post that yields identical questions), addressing people by their names and individualizing responses helps immensely and puts a more approachable face on your company. Some days are going to be bad: not all news is good news. Sometimes there will be a particularly bad day on the horizon that you see coming and start dreading. Know that it’ll pass and get yourself mentally prepared for the onslaught. Sometimes knowing that there will be controversy will help you craft your messaging in advance. Try to think through the edge cases and if you don’t have a good answer, tell people that you’ll find one and get back to them. Follow up. If you are in the middle of a busy day, try to get to everyone within a few hours. If you cannot, flag them and reply later. You want people to have warm and fuzzies when they think about you. Hearing back from you on social, even a day later, can absolutely have that effect. Making sure no one falls through the cracks helps people feel heard and a part of your community, and shows that community members are valued. Contrary to popular belief, Backblaze is not a large organization (though we keep staffing up, check out our backblaze.com/jobs page!) 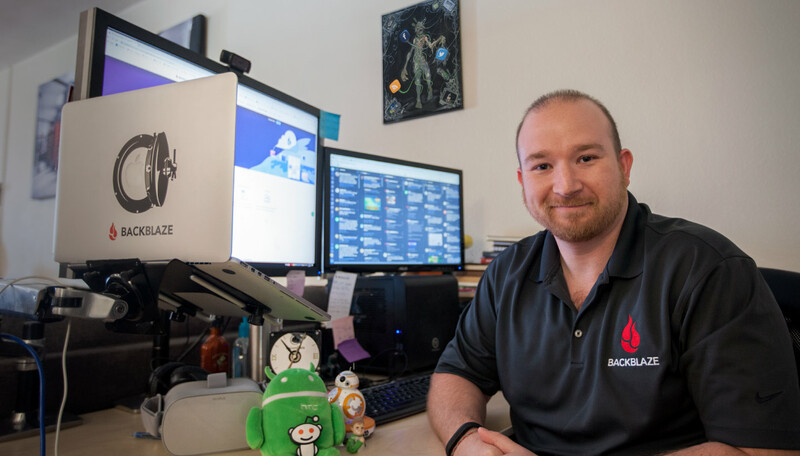 Our social media team consists of an army of one, Yev (me), and a few folks on staff who also have logins and can act as backups in case I go on vacation. It’s good to have backups. How did I get involved with the social side of Backblaze? I joined Backblaze in 2011 as part of our Customer Support team. Natasha, a former contractor (and now one of our product marketers) ran our social media efforts — essentially responding to questions and posting new blog entries and interesting tidbits. A few months into the job I took over the outbound social media posts for the company from Natasha, and a little while later took over both aspects of our social channels. Natasha still helps out as one of the people on the social backup rotation. My philosophy on social and community stems from my strong belief in customer service. I’ve always encouraged having a support aspect to our social channels, which means being communicative when we have issues and often handling simple support cases before referring folks to our customer support team. Since backup and data storage are serious business, every opportunity to offer support is a good one. Twitter, Reddit, Facebook, and other platforms can also act as an early detection canary when people are having issues. That said, I try to avoid debugging issues in a public forum and have found that a lot of people prefer a relevant knowledge base link or a shortcut over going into details about their computer on Twitter. Being receptive to people on different social platforms and giving them individualized answers shows that real people are paying attention to them and that they’re not just talking to a brick wall. I consider these efforts to help customers less about customer support and more about brand-building, but ultimately, it’s just the kind of company that we want Backblaze to be. Is There Value in Measuring Social Media KPIs? We’ve historically focused our social efforts more on the brand than on KPIs for several reasons. A common mistake people make is to view social media as just another direct response channel. While social can certainly drive traffic and sales, it has the potential to be far more important for overall business growth and brand building. Focusing too narrowly on direct response KPIs not only undervalues social’s overall benefit but can also move focus onto the wrong activities. That said, KPIs are not entirely worthless. Some of the most common KPIs include: clicks, views, mentions, trackable purchases, as well as a host of other more narrowly focused engagement metrics. While it’s great to have tracking and to know how many folks are purchasing as a result of your social activities, using those metrics as the sole arbiter of whether or not your social strategy is working is, I believe, a bit short-sighted. Plus, if you’re a shrewd social media manager, you can easily manipulate the KPIs. Need to goose your click numbers for the month? Here come the brand-relevant kitten gifs, but how is that good for your business? You know what is good for your business? Getting people to recommend you. 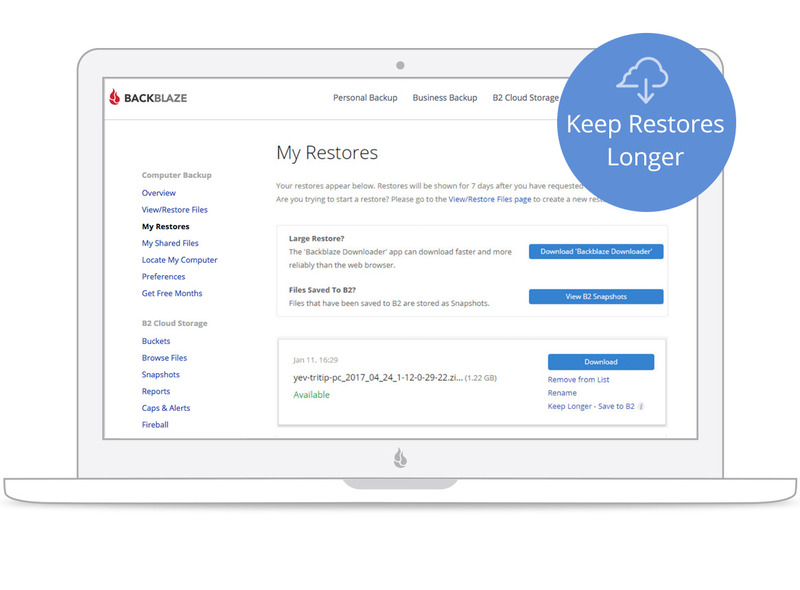 Apparently, there are Mac users out there who do *not* use Backblaze for their online backups. Wild. Social proof is one of the single biggest influencers on a customer’s purchase decision. Regardless of whether your product is consumer-focused or enterprise-driven, your social channels are building out your community. That building of community, in turn, builds brand awareness and positive vibes. The better the community and social interactions are with your company, the more your message gets amplified. When things are good that means recommending your service, and when things are bad it means that they’ll be more willing to give you the benefit of the doubt. Your social channels’ worth is hard to measure day to day, but don’t listen to people who say it can’t be measured at all. Measuring growth takes understanding what your goals are and whether your community can help attain them. You can start to see the benefits when people in various online places stand up for you, or field questions on your behalf in public forums (bonus points if they field them correctly). All those things mean you are doing a good job of educating your fans. Having customers and fans who help get your point across is a wonderful thing, and as I go into a bit later, can lead directly to revenue. Focus on the customer impact and business results, then determine the right metrics for your business, knowing there may not be any. A branding-first approach of using social media as an extension of your support organization can make customers happier and can reduce complaints. The fewer help tickets coming in, the more kudos you get from your support team (and it lowers your operating expenses). Plus, being outwardly communicative and having quick response times can ease the customer’s anxiety in times of stress. If you can successfully do all that, it can lead to customers who are truly brand advocates and are more likely to amplify your message, recommending you, or giving you the benefit of the doubt. I’ve covered the importance of engaging community and the strategy we take to make sure those community needs are met. That still leaves the question of how to actually do it. To that end, I’d like to take you through a typical day of mine. My day starts by checking Twitter. It is the most real-time firehose of information and can act as a harbinger for how the day is going to go. I use the Fenix app on my phone to separate my personal account from my work account. All the Backblaze tweets go to Fenix, while my personal Twitter is tied to the default app. This separation helps prevent me from accidentally posting to the corporate stream. The other benefit is that the notifications become separate so I know whether to investigate quickly if it’s a Fenix notification, or let it slide for a personal one. Once Twitter has been scanned, I respond to the people who need help, either by sending them a helpful link or routing them to our support team. When I arrive in the office, TweetDeck takes over. If you’ve never seen it, to some it looks a bit overwhelming. There is a series of columns, each one keeping track of separate lookups and keywords. I have streams set to follow @Backblaze, the term “Backblaze,” and some of the hashtags that we use frequently. It’s also a great way to see what competitors are up to, and see if you can add any helpful information to conversations that might be about your organization (e.g. someone is considering you and your competitors and is asking for opinions). An additional benefit is that you can gauge the general sentiment that customers have towards you. If most of the tweets mentioning your competitors are positive, that’s great and you have some work to do in making sure you’re thought of in the same way. If most of the mentions are negative, that can be a great time to jump in and try to win some people over, especially if their issue is with something that you excel in — just be nice. While TweetDeck acts as a general firehose for Twitter, it can’t monitor what’s happening elsewhere in cyberspace. For that, I use Mention. It’s essentially an aggregator for the mentions that your keywords receive all over the internet. It is pretty close to real-time, only lagging by a few minutes. There are more robust tools available (Hootsuite, Sprout Social, and Buffer are all good robust tools), but for the money, Mention does a great job finding keywords from social media sites, blogs, news articles, and forums. It’s a great way to get an overview of where your organization was mentioned, and even has some analytics tools to help you parse through it all and see where and how folks are talking about you. More than any other social media platform, Twitter has become the place where people go when they have an issue, need information, or just want to ask a question. Being responsive and making sure each person is responded to builds a rapport with your followers and encourages a sense of community. Having a temporary unplanned outage? Make sure you tweet it so that folks know you’re on top of it and they aren’t feeling left out of the loop. Have a new feature to announce? Let the masses know so they can update to the latest and greatest version. Getting questions about your service? Respond quickly and with relevant information. Someone taking out their frustration on you? Respond with compassion and empathy; make sure they understand that you have heard their feedback and that it’s understood, even if there is nothing you can do. This leads to a more cohesive community where no one feels left out and everyone feels like they’re a part of the group. If someone is having a bad day and takes it out on you, that’s the perfect time to try and bring them in for a soft landing. Very few people ever reach out to Customer Support because they’re having the best day ever. For the customer where something has gone wrong, the way that you treat them dictates how the community at large will view your brand and company. Being empathetic does not have any downsides in these cases and builds trust over time. One of the reasons I use multiple services to track mentions is to make sure that people don’t fall through the cracks. It’s important that folks are responded to when they write us with a question or frustration. Even if the interaction with us is not positive, the goal is to make sure everyone feels heard. That helps establish the positive brand and good vibes I am trying to cultivate and results in brand amplification and customer lead recommendations. Venture capital backed companies tend to be built around hypergrowth, spending money to acquire customers while honing the product and finding their niche. In the almost thirteen years Backblaze has been around, we’ve raised less than $3M. We’re funded by our own operations; this is known as being a bootstrapped company. Being bootstrapped brings with it a lot of benefits, like the freedom to make our own decisions, but it does also mean we can’t spend a lot of money buying Facebook ads, much less buying radio and TV time. So we have to be creative with how we attract people and keep them happy once we earn their business. We want the Backblaze brand to reflect our culture: transparent, empathetic, and efficient. Compared to our competition, we believe that offers a unique and different proposition to people deciding where they want to store their data. Not only that, but those beliefs also reflect who we are as people. To attract customers and educate the masses without breaking the bank, we focused on writing interesting blog posts, open-sourcing technology, and being generally available to our customers. Being available is what we think truly sets us apart from the competition. For us, availability and being social means being good internet citizens, responding to hails from around the web, and joining in on conversations about the industry. That means going to where folks are talking about us and sharing some of our insights, like our hard drive stats posts. All of that, plus listening to our customers when making product decisions (like adding much-requested file sharing in version 5.0), helps move the product forward while bringing our customers along for the ride. One of the tangible side benefits of being present on other platforms is that sometimes being involved in the conversation elsewhere can help stave off support tickets before they enter our system. We have a great Customer Support department and they handle all of our tickets in-house, so being able to head off potential issues on other platforms where currently and possibly future customers are chatting, not only helps us stay engaged in the conversation, but can also reduce the number of tickets coming in. Community building is paramount. What is community? For me, it means any place where Backblaze is mentioned and anyone who engages with our company. Perception being reality, your company will be judged by its public actions. For better or worse, mindshare on the internet is driven by social interactions. Those interactions have to be genuine and not just lip-service with canned missives written by lawyers. While sometimes review is necessary, honest conversation in real-time is the standard I strive for. A company that does not invest in some form of social presence is actively not investing in its brand. The strategy for our social efforts is simple: stay engaged. There’s a literal time component to this — we try to respond quickly, ideally within a few hours. Responding quickly is great, but if you’re responding fast with an automated message, you risk infuriating your customers. Ideally the response is quick and has relevant information. How do you maintain relevance? You do it by sending out useful, topical, or interesting tidbits that are industry related, and by participating in the comments wherever they come up. If you aren’t sure of the right answer or don’t have the necessary information at your fingertips, reply and let them know that you’ll work on getting them the right answer — then follow up. Participation is one of our most important tactics. If you aren’t shy of wading into the comments, whether they be positive or negative, the community learns to ask questions and expects to receive answers. That, in turn, leads to trust, which is immeasurably important. That’s especially true when something goes awry, for example when an Adobe issue ate some Backblaze files, or if you want to capitalize on an opportunity, as when we were able to move quickly and gain customers when CrashPlan’s exit of the consumer business was announced. Backblaze is in the data storage business, which makes it important to strike a balance between being funny, informative, and helpful. It’s difficult, but relentless participation is paramount for cultivating the kind of community you want your brand to have. I am lucky enough to have the latitude to make decisions about what to explore and expand upon in public forums. That means that if something is happening in real-time, I don’t have to wait for an hour and a half to get approval about what I can and cannot say. This isn’t all improv (though I did do that in high school). We create this environment by having honest internal conversations that assume we are going to be discussing things with our customers. We are constantly calibrating and communicating so that when things happen in real-time we can react quickly. Do mistakes happen? Sometimes they do, but the benefits of being able to move quickly in an informed way have thus far outweighed any downsides we occasionally see. Another thing to consider is that there are a lot of SaaS companies offering ready-made community platforms that allow you to manage your own online community. Platforms such as Vanilla, Chaordix, and CMNTY all help brands build and design their own online spaces. I’ve found that in general, these are great for large companies with huge brand awareness, and while Backblaze is large, I do not need such robust tools (not yet anyway). Instead I look for where people are discussing Backblaze already and join the conversations there. 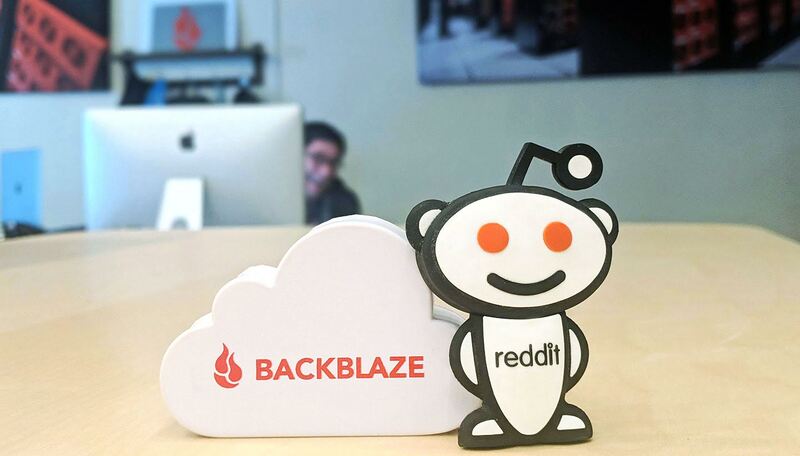 Places like Reddit, HackerNews, Twitter, Facebook, MangoLassi, SpiceWorks, and the comments sections of blogs or articles, are all places where Backblaze gets mentioned. Jumping into those conversations provides for a more natural flow and proves to folks that we really are paying attention, instead of letting the news come to us. Think there isn’t much community in your B2B space or that joining one isn’t a big deal? If there is no community, or no one talking about your product, then there’s no market. If there’s no market, you should start polishing your resume. As long as your business has customers, there’s likely a community element as well. The trick is to find where they congregate, or if no such place exists, create one. Once established, work with your team to come up with guidelines for communication that will free you up should the need to move quickly arises. We’ve had a lot of interesting experiences that have played out on social media over the years, and I’ll give two real-world examples of how being transparent, empathetic, and efficient has helped us navigate those events. In February of 2016, Adobe introduced a bug into their Creative Cloud program that deleted data. Specifically, files were deleted from the user’s root directory. Backblaze has a file, .bzvol, that we place on every one of our customers’ hard drives to keep track of the drive and whether it is plugged in or not. If we detect that the .bzvol file is no longer on the computer, we display a pop-up, asking folks to contact support. On the evening of February 10th, 2016, we started receiving a lot of tickets related to disappearing .bzvol files. Twitter also started to light up with people posting screenshots of the pop-up and asking what was going on. While all this happened, I was at a conference and was able to stay plugged into our internal conversations via Slack while we tried to figure out what was happening. We caught a break the next morning. Our designer and co-founder, Casey, got hit with the error. Our lead Mac developer ran over to his desk, grabbed his logs, and started digging to see what the cause was. The only thing out of the ordinary was that Adobe Creative Cloud software had updated about an hour before he got hit with this error, so we were off to the races chasing things down. Throughout this whole ordeal we had been tweeting updates and letting people know how they could fix the .bzvol issue. 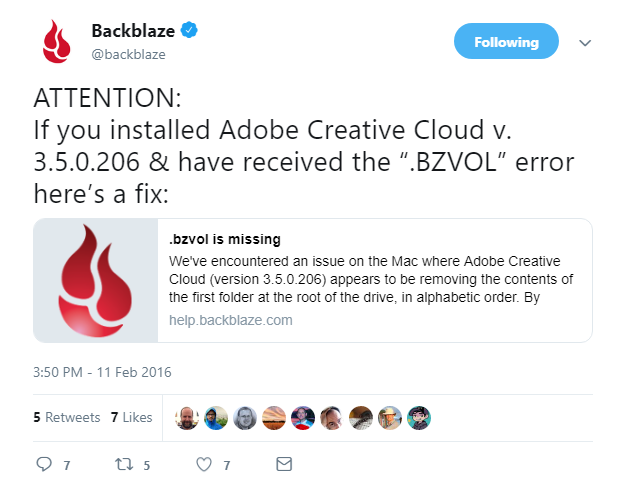 Once we realized that it was tied to Creative Cloud, we communicated that it was not a bug, but that Backblaze was simply a piece of software affected by the Adobe issue. Why was that? It turned out that the files Creative Cloud was deleting were the first files alphabetically found in the root directory. Because .bzvol is a hidden file that started with a “b,” odds were pretty good that if you had Backblaze installed, our .bzvol would be the file that was deleted and the resulting error would alert you of the problem. Backblaze was serving as a canary for a larger problem happening on machines everywhere. We also realized that it wasn’t just Backblaze customers experiencing this. Anyone using Creative Cloud would be affected. They just might not have known their files were deleted silently, since they wouldn’t get the .bzvol pop-up that our customers got. As the week wore on, our social and support channels were blowing up. We started creating and tweeting videos of how the issue was manifesting and how people could avoid it, and we contacted Adobe with our videos, trying to explain to them what was going on. What did we gain by being proactive and communicative? By February 14th, Adobe had both acknowledged and fixed the issue, releasing an update that wouldn’t silently delete data. We even got a mention in their FAQ on the subject. Plus, because we are lucky enough to have active followers who pay attention to what we post, they were gracious enough to help us spread the message more quickly. In the end we gained the appreciation of our customers and blog readers. While that’s not necessarily a monetary victory, it did reinforce the core strengths of our brand: transparency, empathy, and efficiency. 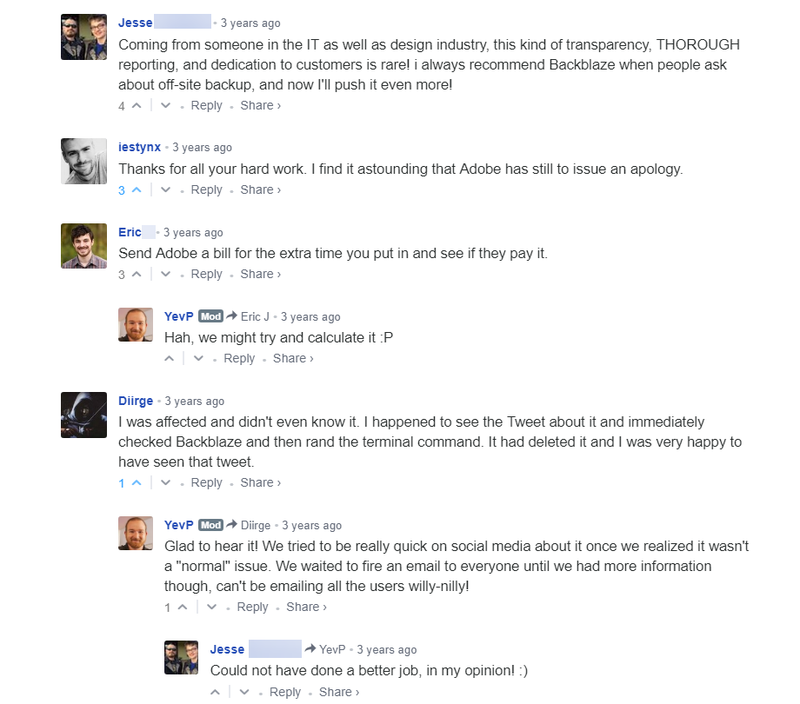 The comments on that post confirmed that we did the right thing by being communicative. On August 22nd, 2017, CrashPlan announced the end of their consumer backup service, shifting focus to their enterprise and SMB offerings. This was rather shocking news to us since CrashPlan was our largest competitor in the online backup space and one that we would send folks to when we weren’t a good fit for their particular need. The news broke early in the morning and our team started to scramble, brainstorming on how we could put ourselves in the best position possible for all of the CrashPlan refugees who were waking up to news of their online backup service going away. To their credit, CrashPlan tried to communicate with their customers, giving them a couple different options, including a discounted first-year rate with a competitor. We had to move quickly if we wanted to win over some of the people who were going to start looking for alternatives. We did the only thing that made sense: we wrote a blog post. Within hours of the announcement, we were able to write and publish our post, an Invitation for CrashPlan Customers. It reaffirmed our commitment to unlimited online backup for consumers (something that we see less and less of as tiered and complicated services sprout up) and listed the reasons we thought we’d be a good match for individuals who had used CrashPlan in the past. The initial post highlighted some of our favorite features, the reasons why people love us, and touched on the difference between syncing and backup. We felt that last part was important because we had seen a few tweets that morning of people stating “well at least I have Dropbox” and we wanted to make sure they were aware of the differences before making a possibly costly mistake. The blog post was widely circulated almost immediately, with over 60,000 people reading it in the first month (it still receives hundreds of visits per day). Once the blog post was rolling we got to work on the next phase of our plan. Phase two was putting the blog post front and center on our computer backup website, creating FAQs based on common questions we were seeing, and writing a guide on how to migrate data from CrashPlan. We also added the ability for folks to create a reminder for themselves once their existing CrashPlan license was started expiring, with instructions on migrating. While phase two was proceeding, I was hard at work on the social. It was my job to stoke the fire while being respectful. That meant not piling on and being a good community steward by sharing the CrashPlan post and our Version 5.0 release notes (fortuitously released a few weeks prior), which touted faster backup speeds and file sharing. While Twitter was heating up, I was also actively involved in threads on HackerNews and Reddit. 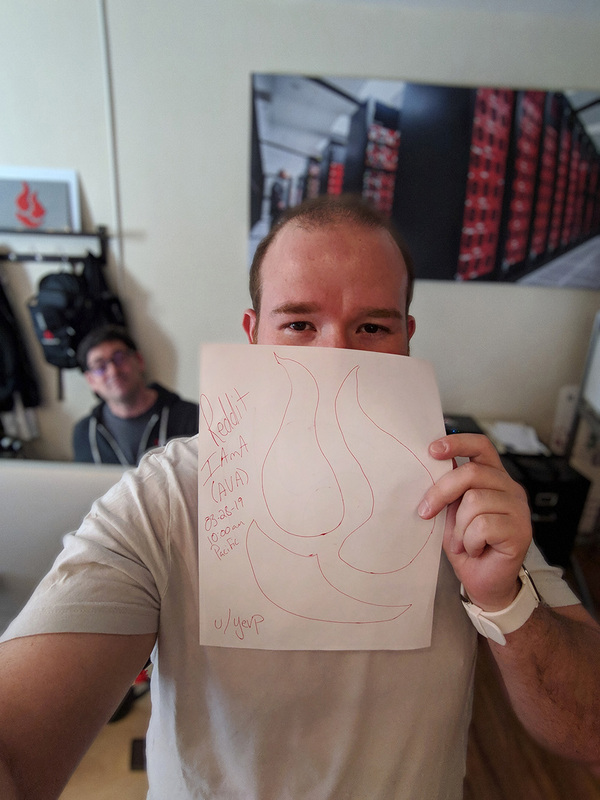 Backblaze’s CTO Brian Wilson and I were hard at work making sure that anyone who had questions on the web was responded to. It’s important to be gracious to your competitors. There’s always someone on the other end of the screen and it was paramount to remember that while we were having a good day, others were having a bad day. To that end, I sent an edible arrangement that day to CrashPlan’s support team, because I knew what it felt like to be having a horrible day in the court of public opinion. Again, we’re all on the same team: get people’s data backed up. I was later told that the gesture was greatly appreciated. What was the benefit? We’ve seen almost a 2x increase in the number of sign-ups that we get for our computer backup service. Not only that, but it has also helped drive almost 50% annual revenue growth this year. In time sensitive situations, being agile, efficient, and having the ability to execute surgically on a series of tasks can have tremendous impact on the overall business. It’s all about catching the wave at the right time. I’m lucky enough to have the latitude to make decisions about how best to approach things when in the thick of it. That lets me move quickly without having to go up the chain and wait a long time for approvals, which helps the conversation flow more naturally and allows me to stay engaged. Here’s some advice on competition — it’s important not to pile on. When competitors are having a bad day, attempting to pour gasoline on their fire is considered distasteful and will likely not be taken well by your community. It’s one thing to see and interact with people mentioning or asking questions about you in the comments. It’s entirely different to rub a competitor’s nose in the dirt. Being a jerk online is not only mean but reflects poorly on a company’s brand. Remember that on the other end of every computer is a person who has to deal with their own corporate and social fallout. Treat them the way you’d want to be treated in a crisis situation. We’re all in this together. Congratulations on making it to the end! I hope this post was not just verbose, but also helpful. Do you have any social media tips or tricks that have helped you grow your brand? Have questions about our approach? Let’s chat below in the comments! The post Making Lemonade: The Importance of Social Media and Community appeared first on Backblaze Blog | Cloud Storage & Cloud Backup. In 2007, after a friend’s computer crash caused her some suffering, we realized that with every photo, video, song, and document going digital, everyone would eventually lose all of their information. Five of us quit our jobs to start a company with the goal of making it easy for people to backup their data. Knowing how to sell on value instead of relying on discounting. 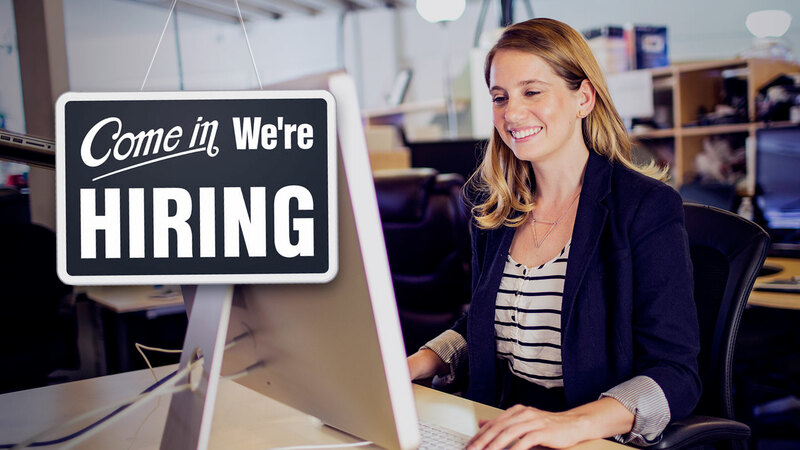 The post Wanted: Inside Sales Account Executive appeared first on Backblaze Blog | Cloud Storage & Cloud Backup. Our data center team continues to grow at a rapid pace as we’re now storing way over 600 petabytes of data! 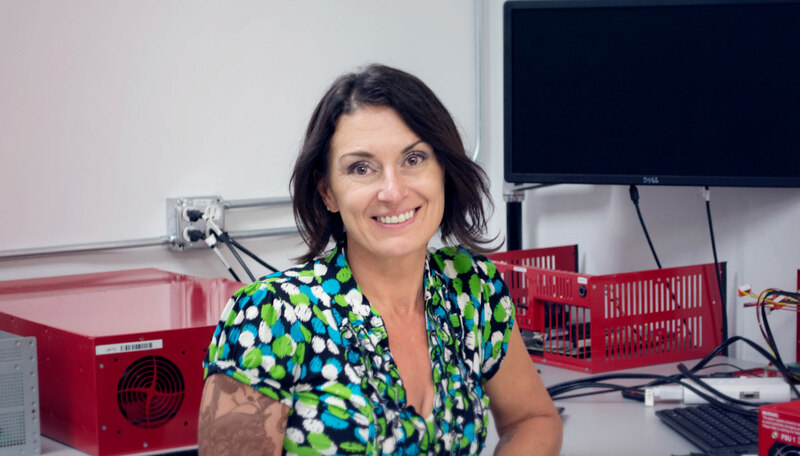 The latest addition to the team is Cheryl, who joins our team as a datacenter technician! Lets learn a bit more about Cheryl, shall we? I am originally from San Jose, CA. I am extremely inspired by the history of how Backblaze came to be, how far we have come and what it is today. I feel honored to be a part of something so special and rare. My desire is to expand my current Linux vocabulary while increasing my technical skills in the environment. I have a pretty eclectic working career. I started out in tech in the Silicon Valley prior and up to the “bubble burst” — providing support for Merrill Lynch, Hotmail, and Passport. During this time, I worked as a part-time sports model for Umbrella Girls USA, following AMA and Nascar. I then became a full-time mom and designed costumes for Umbrella Girls USA. A few years down the road, I re-entered the work force as a restaurant manager working for Stephanie Pearl at Marche, Tom Gallo at Galletto Ristorante, then Black Bear Diner here in Sacramento. I studied business at Sierra College and Computer Science/HIM through DeVry University. My dream job is in an environment where I can learn something new every day and be a part of a team working towards a common goal (on the beach). My favorite place I have visited (so far) is Barbados. The people and culture are warm, generous, purposeful and progressive. All of my favorite qualities in one small island! My favorite hobby is spending time outdoors. I especially love backpacking and trail running. Being a mom is the greatest achievements I am most proud of and is the most important “hat” I wear. Simply, I like certain things either because my senses tell me something may be good or I have just been exposed to it long enough. I absolutely love life and all of the experiences that come with it. Every day I have something to learn as well as something to teach. 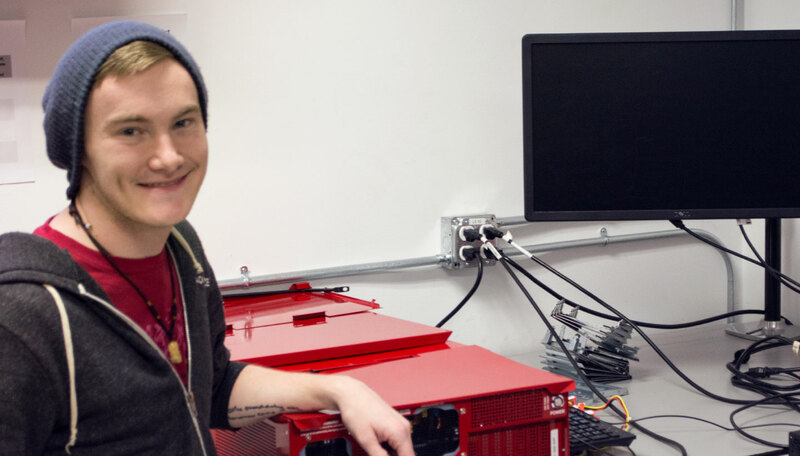 You’ll definitely learn a lot about Linux while on the data center team! Welcome aboard! The post Welcome Cheryl — Data Center Tech appeared first on Backblaze Blog | Cloud Storage & Cloud Backup. Want to work at a company that helps customers in 156 countries around the world protect the memories they hold dear — a company that stores over 500 petabytes of customers’ photos, music, documents, and work files in a purpose-built cloud storage system? Here’s your chance. 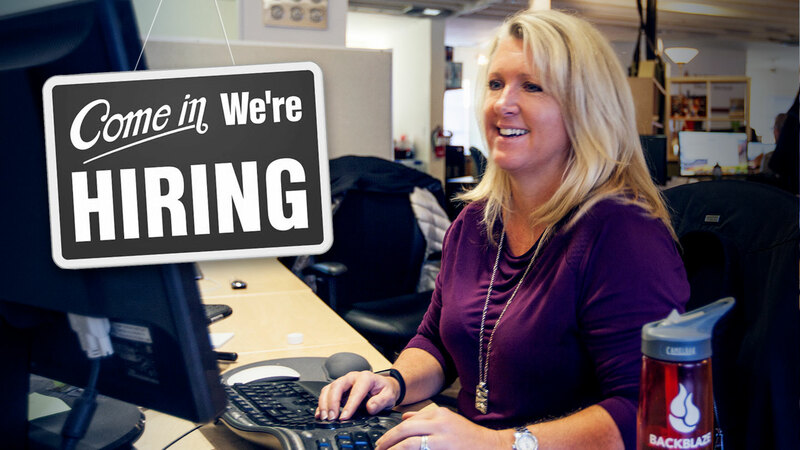 Backblaze is looking for a Paralegal and Compliance Analyst! We have built a profitable, high growth business. While we love our investors, we have maintained control over the business. That means our corporate goals are simple: grow sustainably and profitably. Familiarity with regulations and certifications like GDPR, SOC II, HIPPA, PCI, etc. The post Wanted: Paralegal and Compliance Analyst appeared first on Backblaze Blog | Cloud Storage & Cloud Backup.